Many do not know that laptop can be used as a hotspot. With this you can create wifi hotspot, we can share our internet connection to other users connected via tablet or smartphone. Not only used on laptops, this tutorial can also be practiced on PC with the requirement that the PC is embedded WiFi adapter . For how to create wifi hotspot on laptop is very easy, even can be done without any software, simply through the default Windows CMD tool. 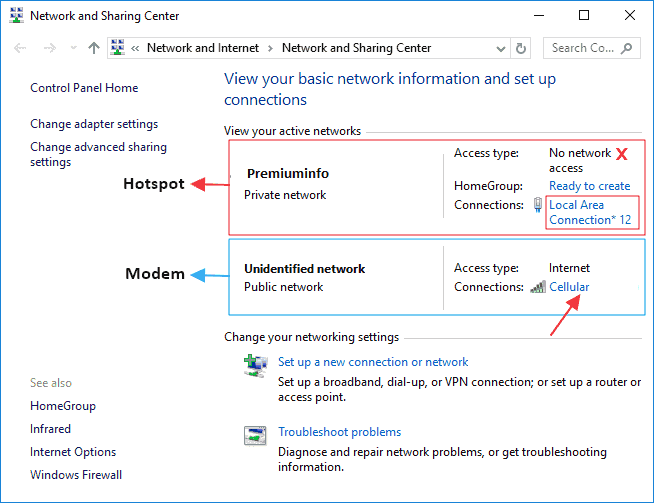 To create your own hotspot on laptop, we take advantage of the features of windows named hosted network . 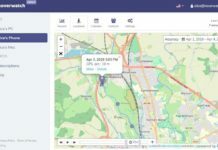 With this hosted network, we can use internet connection without the need to use third party software. 1. Make sure you are connected to the Internet network, whether it is via a USB modem or LAN cable . In the following article, I use Huawei’s USB modem to source its internet connection later. Here are the steps to create wifi hotspot. Note: As far as I know the wifi network can not be the source of internet connection, I also tried it but it failed to continue. 2. Next open Command Prompt as admin. You can search it through Start Menu , then type “command prompt” , then right click select Run as administrator . 3. Type the following command: netsh wlan set hostednetwork mode=allow ssid="Premiuminfo" key=*****. Change Media Fetches with the name of the hotspot (SSID) you want. To change the hotspot password, replace ***** with the password you want. Then press Enter . 4. 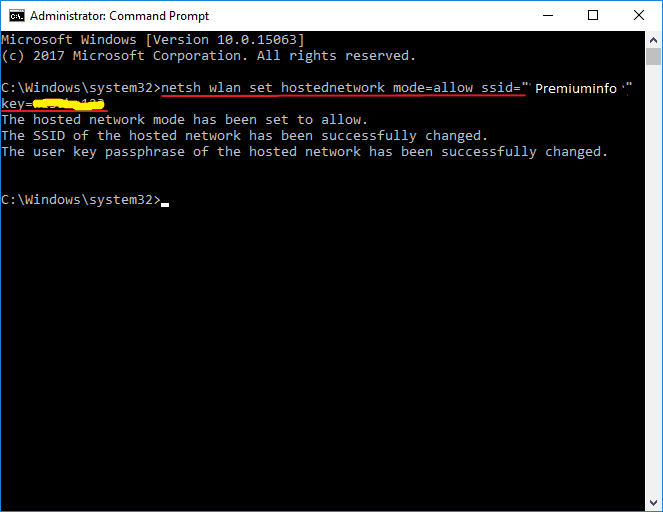 Next type the command: netsh wlan start hostednetwork then press Enter . 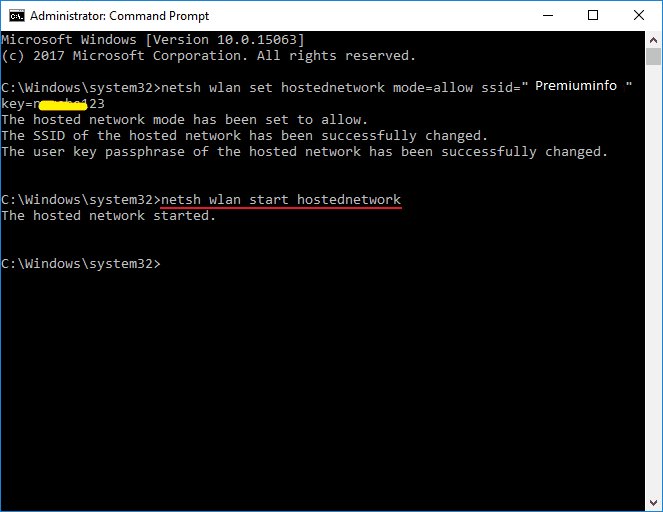 The command is used to activate the hosted network you created earlier. 1, Notice the network icon located on the bottom right side of your desktop. 2. 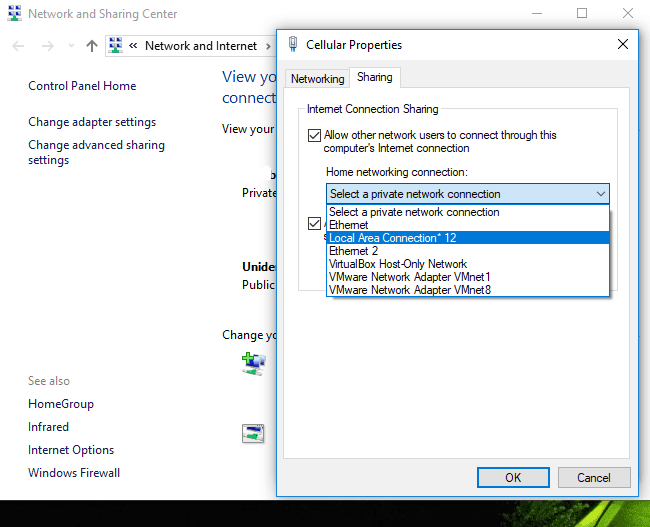 Then right click the network icon, then select Open Network and Sharing Center . 3. As you can see in the picture below, there are 2 active networks . 4. The first is the hosted network (hotspot we created) , and the second is the internet connection from the USB modem. I am already connected on the internet via my USB modem . 5. 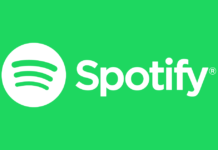 Hotspot that we created earlier has the name of Local Area Connection connection 12 . 6. Next we need to set the internet connection from USB modem which can be shared to the hotspot that we have created earlier, namely: Local Area Connection * 12 . The way just click Cellular . 7. Next select Properties . 8, Check “Allow other network users to ….” Then on Home networking connection , select Local Area Connection 12 . Next select OK .
9. As you can see in the picture below, on the hosted network (Premiuminfo) there is the text Acces type: Internet. This shows that the internet connection from your USB modem has been successfully shared to your hotspot. So users who connect to your hotspot internet. Even so, there is one more thing you need to do, i.e turn off the firewall on your windows. 1. If you installed antivirus, It Maybe Avast, Avira, ESET or other antivirus, Where firewall settings are usually set by your antivirus. And of course the location of the firewall settings on each antivirus is different. 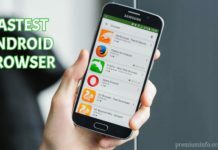 For example, I use Avast Premier . 2. Open Avast Premier . 3. On the Protection menu , select Firewall . 4. Click ON button to turn off your firewall. 5. Select “Stop until next restart” (firewall will be re-enabled after laptop restart). 6. Now Firewall will be successfully disabled. But for those of you who do not install any antivirus on your laptop, you can turn off the firewall easily through the following article . After we turn off the firewall on windows, it’s time to connect with wifi hotspot that we have created. 2. Find the name of your SSID (hotspot), namely: Premiuminfo . 3. Enter the hotspot password that we created earlier, namely: ***** . Then select Connect . 4. That’s it, now we can surf through hotspot that we make ourselves manually, without any software. 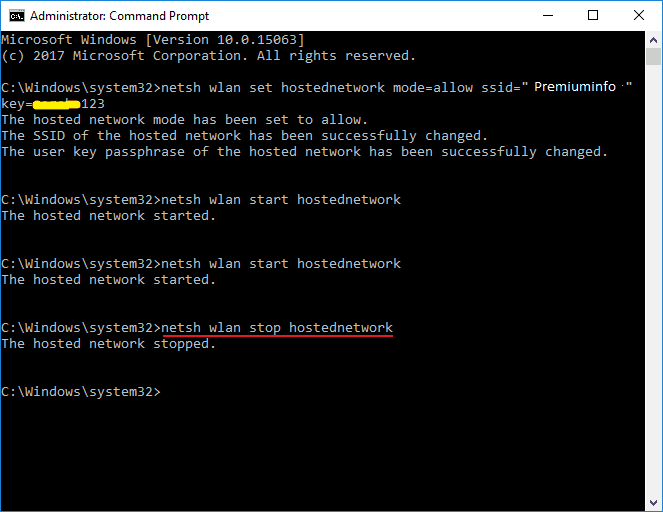 To turn off the hotspot we have created, just type netsh wlan stop hostednetworkin the command prompt. That’s how to create a hotspot on a laptop, without the need to use any software assistance. 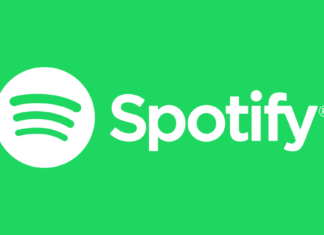 However, for those of you who prefer to use software, you can use Connectify, mHotspot, My WIFI Router and other similar software. If you still have any issue, While create wifi hotspot without any additional Software on windows laptop. Let us that in comment box. Don’t forget to Like and Subscribe to our website for more Guides and tech updates.